Looking for CD Replication for your next CD project? Your CD project is your most important work and is the result of hours of your hard work and your creative expression so dont cut corners when producing thousands of copies of your CD, let us help you showcase your work at its best. Discus Group are one of the UK’s leading independent companies in CD replication, manufacturing thousands of CDs per day. We offer standard and fast turnarounds, a flexible approach to your project and cheap CD prices. CD replication is the ideal process for producing large runs of CDs in a cost effective way. At the heart of Discus Group is the customer service ethos. Every order no matter how large is small is treated equally. Our flexible approach bespoke in house production systems enable us to tailor our services to our clients individual requirements. 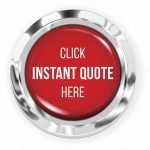 For a quick online CD Replication quote click the quote button on the right. Replicated CDs are bespoke made for you and the content is moulded into the plastic of the discs. CD Replication is very suited to large scale production as once the machines are running they are very quick to produce. A CD replication lines which is running well can produce a disc in 4-5 seconds. Rather than using a laser to burn pits and lands into the surface of the CD the pits and lands are moulded directly into the plastic using a metal stamper when the CDs are presses. Although it is very quick to produce the discs once the machines are running it takes time to get the machine set up of each job. It’s because of this set up time that CD replication is not suited to small orders. Subject to deadlines for projects we already have in production we may be able to offer fast CD replication with certain packaging options we call this I Need Speed service. We can offer fast CD replication projects in as little as 5 days depending on our existing work load and your packaging type. We are a leading CD manufacturer in the UK, our reputation is maintained by our policy of quality products and customer care. Our replication department uses the latest state of the art robots CD pressing line, CD printers and packing machines, Virgin polycarbonate and highest quality retail grade cases. This together with our automated bespoke built systems, ISO9001 and over 20 years expertise our procedures ensure we manufacture consistent professional quality CDs of the highest standard within the industry. All this ensures you get quality replicated CD discs every time. 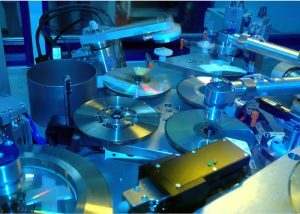 The first stage in the process is CD Glass Mastering – When a master is received it is loaded into the mastering system. This system creates an image of the discs (the pits and lands) and re-produces them onto a photoreceptive coating which applied to a thick piece of glass. This is the glass master which is often the name given to the replication process. The coating on the glass is washed off once the metal stamper has been made and a new coating applied. The Glass can then be used again for the next project. The next stage is to produce a metal stamper. The glass master is placed in a bath of Nickel. An electrical current is passed through the bath and by a process of electrolysis (you may remember doing this in science lessons) Nickel is attracted to the face of the glass producing a metal plate with the impression of the disc on it. This metal plate is known as a father stamper. Fathers can be mounted onto CD replication lines to produce the discs or they can be placed back into the electrolysis baths to produce mothers. Mothers are mirror images of the father stampers and can be used to grow sons (which are the same as fathers). Producing sons is done on very large production runs so that discs can be produced on a number of machines. The glass used to make the stamper is washed and a new coating applied ready for the next job. If a stamper breaks during production then the whole process of creating the glass and growing the father stamper must be repeated. The stamper is mounted into the replication line. The CD replication line presses the stamper against a mould creating a small cavity the size of the disc. Polycarbonate which has been heated to become liquid is then injected into the cavity producing the disc. The mould and stamper are separated and the polycarbonate disc is removed (by the machine). The next step is to apply a coating of aluminium to the disc (on a CD-R rather than aluminium silver is used as it reflects the laser better which is important when burring the discs) to the top of the CD. The metal is applied through a process called spluttering, a very powerful magnetic pulse transfers a layer of metal from target to the disc. The magnetic pulse is very powerful and will wipe a mobile phone of data is next to the machine when it operation. Once the metal is applied to the disc a coating of lacquer is added. The metal stops before the edge of the disc allowing the lacquer coat to apply to the clear plastic. The lacquer prevents then metal from peeling off. Difference between CD-ROM / CD-Audio and CD-R production. The process used to make a CD-R is very similar to replicating a CD-ROM or Audio CD. There are a few differences though. Before the metal is applied to the disc a photo-receptive dye is applied to the disc. This dye is what gives a CD-R a slightly green tint. The dye layer is use by a CD burner to record the pits and lands. Rather than using Aluminium Silver is applied to the CD-R. The silver targets are very well guarded in most CD-R manufacturing plants as they are solid silver discs approximately 20cm in diameter and 5cms deep. 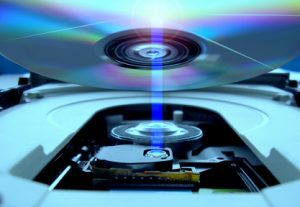 Cheap CD-R may have thinner layers of dye and / or silver to reduce the costs but will also reduce the quality of the discs and its ability to be burnt and read. Is CD Replication better than CD Duplication? With cheap CD duplication, people can produce very short run promo CD copies instead of manufacturing bulk CD pressing, however in there has been a move to sell duplicated CDs as a commercial product. There is a need for cheap CD duplication services; if you need a very fast turnaround or a very limited run this is the best option. If time and budget allows professional CD replication offers the most professional solution, when you are selling or promoting your product. The high quality, consistency and a professional image of your product says everything, and cheap CD duplication cannot compare to professionally pressed CD. However if your CD Duplication company adheres to the same standards when duplicating as replicating and operates a quality system using best quality raw materials then your CD duplication should be as good as CD Replication. Advances in CD manufacturing mean whichever route you choose your product will be produced to the highest quality and will last long into the future. Unlike CD duplication, CD manufacturing takes a little longer. CD Duplication can be completed same day, our CD Replication typically takes 8 to 10 days. Our fast CD Replication service takes a minimum of 4 days depending on packaging. Your CD master will be inspected thoroughly for compliance to Philips CD Standards, then glass mastered. The glass master is electroplated to create the stamper. In parralel the artwork is checked and sent to print, once printed the packaging is allowed to dry before die cutting and guiltining and folded and glued in the case of card wallet packaging. Whilst your print is being made production will mount the stamper and CD Press for the CD replication, this way we can time the job to come off CD press and go to the CD printing line for when CD packaging will be ready. The CD’s can now go to the packing department to be packed with the CD printed parts and over-wrapped. The finished CD product is now packed into cartons ready for dispatch. As you can see it is not as straightforward as popping a disc in a CD duplicator and pressing a button, this is why we normally require approximately 8 – 10 working days depending on the type of packing and quantity to deliver you a professional CD pressing.